4G is the buzz word which we are listening to everyday. Simply put, 4G is the shortened name for the fourth generation of the wireless data transmission networks set-up by the mobile phone industry in order to offer more bandwidth and greater speeds for everyday mobile device operations, such as messaging, video calling and mobile TV. Recently I came across this advertisement of 4G challenge by Airtel “If your network is faster, we will pay your mobile bills for life”. First of all I was impressed with the impact, but then when the illusion wave swept away, I realized it’s just a marketing gimmick; which is great because this is the need of the hour, you do have to go out of your boundaries to showcase yourself. But does it have to be so unjust? What Airtel's challenge looks to me is all unfair and groundless. It feels like someone is saying my horse runs faster than your mule. This challenge seems unjustified since Airtel is the sole 4G operator in the country. They will obviously be able to provide much better speeds, since 4G is superior than 3G. 4G is usually claimed to be about 5 times faster than 3G. That's what Airtel is challenging on. Speeds will be very good initially because there are hardly any subscribers using 4G but as the load of subscribers increases the speeds will come down and prices too will shoot up gradually. Even after putting their best foot forward, it feels like they have lost the battle and that too standing alone in the battlefield. All surfing through the net is bad reviews about Airtel. Approx 80% reviews are negative. Who so ever has tried Airtel 4G are not happy with the result. Their connectivity is low, speed is slow, the customer support is poor, the fraud ratio in billing is high, their network plays hide and seek most of the time. Even if one rises up against all the odd and goes for the challenge; then also what? The only places where these challenges will take place will be their own choice location which obviously will have the best network availability. Unless someone like Akshay Kumar or Shahrukh Khan fighting against WWE Champion or a Sumo wrestler in the movies, it is impossible to win. But at the same time, one should give credit where it’s due! Airtel took the initiative to enter the 4G sphere first in India, their whole packaging idea, their confidence to put up such a big challenge, their new redesigned website dedicated to 4G. 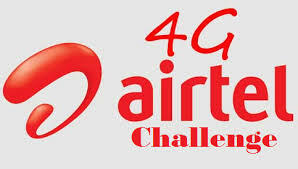 Airtel is also offering free 4G SIM to the aspirants and delivering it at customer’s doorstep. Delivery within minutes at your doorstep will become a reality in a few years. A lot of online stores are in the market promising the best delivery in minimum time; but is it really possible to get your fresh vegetables or a pair of shoes within a few minutes at your doorstep. As we know in today’s tech savvy world, online shopping is on a boom and every online retailer is trying to provide the best of services to their customers. Some of the best in business are Amazon, Flipkart, Snapdeal etc. World over, Amazon has always been one step ahead and it has now started working on the drone delivery system, called Amazon Prime Air. Amazon first unveiled the idea for its Prime Air service in a video (http://bit.ly/1NbMl24) released in December 2013. 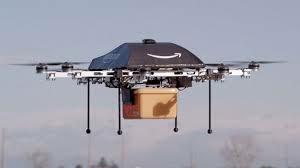 According to a leading English daily, sources aware of the development said Amazon will make India and not US as the launch-pad for its plan to deliver packages via drones or unmanned aerial vehicles. And it will start with a trial in Mumbai and Bangalore where the company has its warehouses. As per the report, the drone will carry payloads upto 2.26 kg which covers 86 percent of products sold on Amazon. There is yet another rival for Amazon in this field and that is Google! 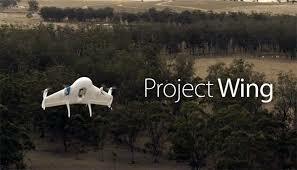 Google has a similar concept of unmanned delivery system called Project Wing. It will enable people to get products delivered “in short order”, even in the most populated areas - according to Dave Vos, the project’s leader at a NASA - sponsored conference on drones on July 29. Project Wing first came to light in August 2014, when test flights of early prototypes were conducted in Australia. In order to deploy these drones in the skies, drones not only need to communicate with people on the ground, but also with the other high-fliers be it another drone carrying packages or some drone taking aerial surveys or any other work as Vos said. Also and without any intent to add humor, there are actual birds in the sky too!!! Despite of all these technical and natural difficulties and even if these difficulties are overcome, there are still many other obstacles which needs to be figured out like the aviation regulations posed by the Governments. And if due to some reason (communication loss or technical mishaps) the drone crashes, possibly injuring people and/or property, the damages would not only cost a company in financial terms but could also possibly lead to the closure of whole project itself. So companies have to test these drones thoroughly before deploying in the market. It is anybody’s guess as to whether Google, Amazon or maybe some other player in the market will emerge a winner in this exciting technological race. What is certain is that it will be a big challenge for any of them to shape this ambitious project into reality and get this futuristic delivery system deployed on the field. The numerous stringent laws regarding aviation rules across the world might be a reason why Amazon is starting this project in India as India lacks the more strident regulations on commercial drone usage prevalent elsewhere. Whatever be the reason, the outcome will be awaited with eagerness across the Indian retail market! This is the age of the customer! Businesses have to reach out to customers rather than the other way round. It’s also the age of social networking; a single customer’s positive experience with a business can reach to hundreds of potential customers. So maintaining personal relationships with customers proves to be immensely beneficial for any business. This is where customer engagement comes in. It is the art of effectively connecting with customers and making them feel like they matter in ways that go beyond goods and services. It is about providing exceptional end-to-end customer experience, superior content and excellent after-sale service and support which goes way beyond than a traditional sale. So, businesses in this decade should emphasize more on value creation than on revenue extraction. Customer engagement is no longer a series of one-off experiences; it’s an ongoing dialogue. This dialogue can be achieved via social media. Businesses need to ensure that they are being talked about on online channels or social networking platforms. For this they should focus on developing a passionate online community. Social media presence is an absolute necessity for any business today. News about new products, versions, campaigns, offers, etc. spreads almost instantly on social channels which can bring about huge footfalls for a business. A customer would remain loyal, only if she can relate to the brand emotionally. This emotional touch can be brought in by understanding her needs and providing her a truly personal experience. It’s these kinds of emotions that shape their attitude towards a business and also influence their buying behavior. So, it is extremely necessary to give a voice to the brand. A group of people can be charged with the responsibility of promoting the brand. They could interact with customers on forums, write blogs, publish white-papers and present seminars to actively engage with their target audience. Gone are the days of cold-calling when businesses used to approach random unknown people and advertise their products or services to them, today customers decide if and when to communicate. A business’s job is simply to provide them the tools for easy communication. These tools should be easily accessible and highly visible. They should also offer options for different types of communication, viz., do they have a question, do they want to post a rave review, are they facing any technical difficulty. Giving such control to the customers results in better understanding of their needs, which eventually leads to building a loyal customer base. We are living in an “always-on” world driven by mobile experience. Mobile apps have made buying experience more convenient for the customers. Customers want availability in the palm of their hands and that too anytime and anywhere. So businesses need to engage and interact with their customers in the context of their daily lives through mobile environment. This not only ensures better, more immediate service but also boosts brand loyalty. Many businesses have started using content to educate customers about their products and also to help them understand market trends, best practices and ‘How-to’ guides. This greatly enhances the customer’s buying experience and increases customer retention. Businesses need to use quality content to educate customers not only about their products and services but also provide insights into working and analytics. This can be achieved via blog posts, email updates, newsletters, webinars, updates and posts on social platforms. 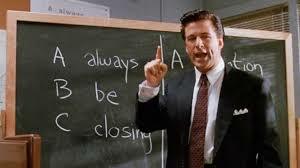 ABC - “Always Be Closing” has been the mantra for all sales persons since Alec Baldwin uttered those memorable words in the 1992 film adaptation of Pulitzer Prize winner David Mamet award winning play. It is about a group of desperate real estate sales agents struggling to close deals. The movie succinctly captures the struggle and desperation often felt by salespersons and businesses. 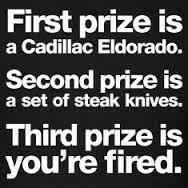 One of the key highlights of the movie remains the scene in which Alec Baldwin who plays a sales motivator is sent in by the management to inform the team that they are competing in a contest….winners get prizes; losers get fired! Now Contests have long been a go-to tactic for sales managers because when these games work, they work well. Given that simply framing an activity as a game may have a positive effect on motivation and engagement, this logic is sound, if somewhat broad. However, what has not stood the test of time is the structure of these contests, or the idea that pitting sales reps against one another is the ultimate method for driving results. Managers today have to look beyond and run contests that encourage collaboration & problem solving. 1. Best Hand Contest: Present a playing card drawn at random to any sales rep or team that meets its respective target, such as a sales close, cold call, restored customer, and so on. Allow the cards to accumulate until a given point when the player or players have to show their best hand. Give prizes for small wins, such as a pair or three of a kind, but the grand prize goes to the best poker, bridge, or rummy hand. 2. Old is Gold Contest: In this game, sales people are challenged to mine their existing customers for new business. New business means additional business in the form of orders for new products, bundles, or customers. It pays respect to old customers and drives improved customer service to loyal clients. Reaching milestones would make them eligible for numerous rewards and maybe some gold coins! 3. Go to the Auction Contest: Team members are paid in play money or points for completing a sequence of tasks, like completing a set number of cold calls or customer calls, selling X number of product A and Y number of product B, and securing a specific number of referrals or closing a specific number of sales. Training links the tasks to develop habits, and at end of contest, team members use their money to bid for modest prizes in an auction. 4. Map/Board Game Contest: Use maps, props, or illustrations to play the game. Weekly prizes reward advancement in the game. The same can be done with board games from Chutes and Ladders to Monopoly. 5. Raffle Tickets Contest: With a significant prize at the end of the contest and worthy prizes each week, team members can compete each day for raffle tickets. If the tickets reward individual targets, the team member can accumulate enough raffle tickets to improve his/her chances to win the big prizes. 6. Daily Surprise Contest: On each day of the month, the sales leader for the day receives a prize, but no one knows the prize until the envelope or box is opened. Keeping the quality of the prize somewhat random keeps team members engaged and excited about the possibilities. 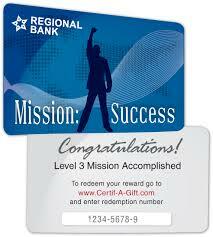 Prizes like theater tickets, dinner certificates, or a get away weekend meet with sales success. 7. Top This Contest: This sales contest idea encourages each team member to develop a respective personal best. Each week, the best sale is posted for each member. Their objective is to top their posted best during the following week. When everyone is a winner, members compete with each other by competing with themselves. Want to create a great sales team without being overly aggressive or abusive?? Try becoming a different and better sales leader. Use the power of collaboration and team building to drive sales growth. Log in to avail free trial at BVC CEM (www.birdvision.in) and use amazing engagement tools designed specifically for your sales team. In today's digital workplace, customer experience management is an integral part of business-to-business (B2B) and business-to-customer (B2C) organizations. Customer Experience Management (CEM) is directly proportional to Sales and Revenue i.e. higher the levels of customer engagement, higher is the sales and revenue of the organization. As per latest research*, a fully engaged customer accounted for a 23% increase in annual growth whereas a partial engaged customer accounted for a 7% increase in annual growth. 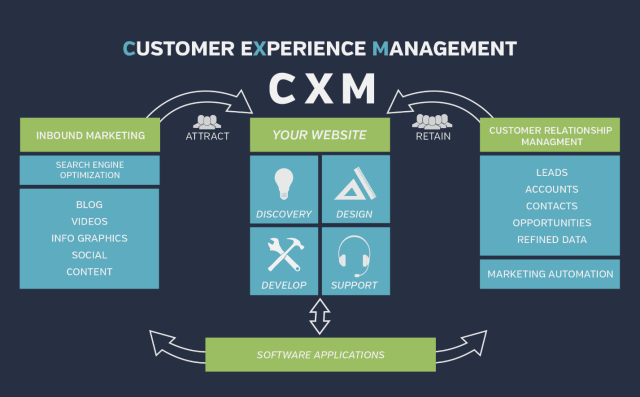 Customer Experience Management- What it is? CEM is defined as "A procedure of strategically managing a client/customers experience with respect to the brand or a company. In other words, it is a concept that explains how a brand helps to meet or exceed customer expectations; thereby improving the interactions between the business and the customer. Moreover, Customer Experience Management (CEM) revolves around three pillars- customer satisfaction, loyalty and advocacy. It’s not only about serving the online customers, but also gaining an in-depth knowledge about the customers - their preference/choice in order to deliver the best services. 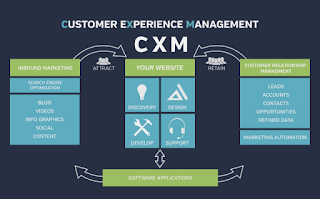 Why Customer Experience Management (CEM) is important? With Customer Experience Management being the real sustainable source of competitive advantage, you can easily create brand loyalty and target the potential customers. Ideally speaking, the concept of customer experience has become one of the key factors to differentiate the competitors in the global market. To manage the duality between the customers and companies, BVC has designed an integrated technology solution, offering customers a personalized experience to meet their expectations. · To create consistent brand experiences across multiple channels. · To consolidate data/information into a single view to make better decision. At BVC, expert professionals were engaged to develop and implement a unique roadmap for customer experience management- a key strategy to target potential audience. Its objective is to scrutinize how companies go about improving the customer experience. To develop a customer experience strategy, you have to perform complete competitor analysis, market analysis, and customer lifecycle mapping. To make the customer experience strategy more flexible, a specific set of plan need to be shaped; the result of which is a detailed program roadmap to serve the potential customers. Implementation is the final phase to the roadmap for customer experience management. It involves program management, organizational transformation, and technology transformation. Customer Engagement Management is wrapped around customer experience. BVC offers a unique software platform that enables brand loyalty; thereby gaining customer engagement and experience over a quick succession. Contact Killers to Engage Audiences - "The Call to Action"
Ø Schedule a Call Back – It is one of the traditional strategies to retain customers, thereby generating sales and higher ROI. In the modern era, it is termed as ‘Remarketing’, which helps to reach the potential buyers through advertisements and promotional campaign. Ø Mobile Phone – With the advance technology and smartphone functionality, it’s easy to engage the potential audiences via SMS or text messages, video messages, emails, and so on. It is recommended to use smartphone and GPS technology to gather customer feedback and drive instantaneous customer experience. Ø Social Media – In today’s tech-savvy world, social media has emerged out as one of the most powerful tools to engage customers. You can select a comprehensive social media management platform to monitor the social activities. Ø Visual Support – Visual content (images, video clips, & info-graphics) offers a deeper and richer personal experience. Moreover, visuals acts as the "Face of your Brand" to engage and entice the audience across the globe. For ages, enterprises have been operating in the landscape of diverse software solutions. These diverse (or more correctly - distinct) solutions are seen in every other mid to large scale enterprise.Most of them are ERPs, where the very purpose was to bring about centralization of data & more importantly consistency of purpose in the enterprise.However, as the time passed by, firms’ expectations from the software changed. Very few ERP implementations have retained their homogeneousness over time. There are a large number of transaction management applications, CRM applications& a recent crop of mobile apps that enterprises had to inevitably deploy. And guess what, most of these softwares are supposed to perform the task of traditional core business operations for a company. Exponential growth of Loyalty & EM (Engagement Management) genres has resulted in addition of yet another variable to the equation. Till what extent can our firms absorb different software to satisfy newer functional needs? Multiple Platforms & Consistent Experience - Fallacy? Loyalty& Engagement Management are thought to be the recent genres (at least from software perspective).Thus, as the genres evolve,companies are preferring separate solutions on ad-hoc basis. Such individual solutions are then ‘integrated’ over time. Naturally, this gives rise to the less-than-ideal scenario of highly heterogeneous solution to the overarching problem. Granted, these diverse solutions solve different problems on the EM (Engagement Management) canvas & that too quite convincingly. Just to get an idea, some core problems in EM space & different tools needed to solve them are mentioned ahead -- 1. Tracking of customer transactions/interactions via various tracking mechanisms depending on channels (but then again, in this case alone, several types of solutions are possible depending upon the chosen method to track customer activities). 2. Analyzing the buying behavior,with the help of various data mining & analytics engines. 3. Gamification of the target process (progressive incentivization softwares or separate gamification engines are needed for this). 4. Designing & operating loyalty programs/schemes needs its own loyalty software (with point conversion engines & participant account management). 5. Managingcustomer engagement/communication activities requiring special software which would integrate the communication getaways to facilitate bidirectional interactions as well as perform measurement of communication activities. Now, if we look at the 5 areas mentioned in the previous paragraph, each of them is so big that a separate platform could be required for it.And market is ready with a lot of such platforms. However, adopting separate platforms for each EM function increases the probability of messing up your information warehouse. This messy information warehouse proves to be of little use when you want to pull out insights. Data doesn’t match up, information is in a very scattered form & seeing all this, stakeholders tend to lose patience & ad-hoc programmes are designed just for gathering the relevant information needed at that point. Then, to save the day, a large flurry of integrations & information tunnels are built, which require a lot of architectural & developmental changes. What causes this colossal breakdown of information pyramid? Well, on the lowest level there are data mismatches, which many times cause digital identity crisis(think of any old govt. program to realize what I’m talking about). Then there are data format mismatches. A very simplified example of format mismatch would be presence of alphanumeric characters in one platform & the other platform lacking support for it. From a high-level perspective, this tends to happen because individual platforms gather data for different purposes (the distinct business functionthey were bought to do). And this high-level mismatch more than often percolates down to ground level. One of the initial premises for Engagement Management is to give a consistent brand experience to the members. Hence adopting such approach of heterogeneous solutions becomes a strategic fallacy. Now, let us make a case for a unified platform. What could a unified environment offer? First of all, it would bring about a reduction in integration & development costs for sure. For software architects, so much of time goes into deciding what data to pull from where & how to format the data. With a homogeneous platform, this burden would surely be reduced. Secondly, a unified environment would offer much easier impact analysis when making changes. The impacts of proposed changes have to be analyzed in only single platform. Not in tens of them. Then, since developers are more likely to get comfortable with the idiosyncrasies & structure of one platform, the (unified) platform would be easier to maintain. Then, filtered data which is much more accurate would be gathered. This is because data would be gathered for the exact intended purpose. No force-fitting of data from one platform on the other. Since the environment is unified, it would be easier to train resources. This would result in reduction of computational & operational redundancies. Billing & cost tracking & appropriation would be much more simplified. Lastly & vitally, there would be a consistency in brand messaging & experience throughout the engagement lifecycle. Wait, there is a risk, you say? Too much power given to one vendor? Well anyways you are likely to use one vendor per major function. If that co. messes up, that function of yours is gone anyway. And who knows what impact it may have on the other functions because of your integrations & data dependencies?We rest our argument for a unified environment. But we’re not a bunch of impractical idealists. Please go through our acknowledgement below. Acknowledgement: We acknowledge that a cent percent unified environment to address all EM needs of a brand/company is probably asking for too much. One would still have to ride on that bumpy road of APIs, integrations & data migrations (oh, those ETL programs!). However choosing a platform which provides a high degree of uniformity (wherein a platform would cover as much of the engagement canvas as possible), would go long way in evening out of most bumps, making the ride far smoother. Hey, as the title says, this is just one team’s take on the topic. Do share your thoughts for mutual enlightenment. Online shopping is the ‘in’ thing today. The online business is booming & giving impressive growth numbers. Naturally, companies have identified the utility of online business presence & have acted upon it by creating strategies that place paramount focus on this channel. 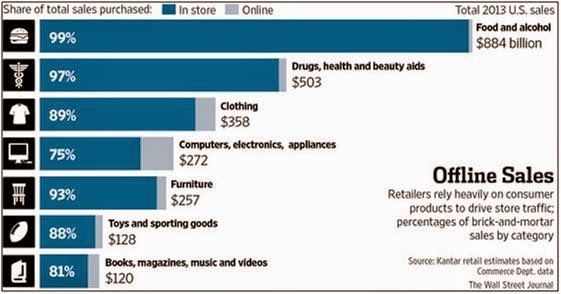 Keeping all that in mind, online shopping is still tiny compared to the brick & mortar channel. Sure, online is winning the fight, but the battle is yet to be won. The numbers given in this article from WSJ proves as a sufficient illustration. And it’s going stay this way for a significant amount of time. Who knows, we may even see a new twist in the paradigm. My point being, marketers need to look beyond all the hoopla & avoid the catastrophic mistake of ignoring their offline customers. They’re still going to be your main source of revenue for years to come. Brick & mortar retailers are increasingly becoming aware of the threat from E-commerce & are trying some tricks of their own. There are a few fundamental differences between online customers & offline customers. Online customers have many choices, all of them at the tip of their fingers. They face many distractions than a brick & mortar customer, too. While on web, a customer can be easily distracted by an impressive advertisement from another store. Moreover, switching costs for an online customer are next to nothing. He is likely to get the same information on every other online store & since the overall shopping experience is roughly identical everywhere, it becomes very difficult to retain an online customer. On the other hand, offline brick & mortar customers are far less likely to switch outlets. This is because all the outlets of the brick & mortar variety are not that easily accessible to everybody. More importantly, it is very difficult for the online stores to compete with their brick & mortar counterparts in terms of providing diverse shopping experiences. The sheer range of shopping experiences (combination of tangible & intangible aspects) that a physical store is capable of providing gives it a vantage point for retaining customers. Hence, we can conclude that offline customers are more likely to remain loyal to an outlet. So, it makes a lot of sense in taking efforts to engage & retain the brick & mortar customers. Consider this on the backdrop of huge sales numbers in physical retail, and any reasonable marketer will direct at least some attention to his offline customers. One more reason for our rejuvenated interest in tracking offline customers is simply because now you can do it. Technology is available that enables a marketer to track physical customers with very little expenses. I believe the specific industry is called ‘In-Store Analytics’. With the advances in communication technologies (especially wireless communications like Beacon & Wifi), it is now possible to track a really wide range of activities of the physical customers (You may visit our blogs – Tracking Customer Activities (A Process-based Approach) & The ‘Geeky Side’ (Technology) of Customer Engagement). The advantages of using In-Store Analytics & Intelligence solutions for tracking offline customers cannot be emphasized enough. The share of brick & mortar retail in the total retail sales is too large to stop innovating in that area.